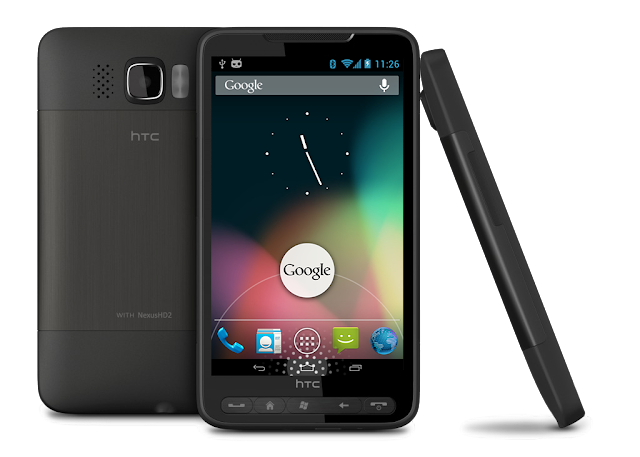 NexusHD2-JellyBean-CM10 is the first stable and fast JellyBean ROM which is built from the CyanogenMod 10 source code and provides complete hardware video encoding/decoding support for HTC HD2. Include tytung's JellyBean ramdisk (initrd.gz). Include the required proprietary binary files and the HD2-specific files. Credits: tytung, Securecrt, Rick_1995, Xylograph, rapmv78, texasice, marco.palumbi, marc1706, ph03n!x, datagr, the CM and the Evervolv teams, etc. Enhanced Power Menu w/ Reboot and Screenshot options, etc. Root, Superuser, su, busybox, etc. Tool: NativeSD Recovery v1.0 for NativeSD users. Please visit my previous ICS NAND webpage for the installation steps. Please create a FAT32 primary partition with 32KB cluster size, then an EXT4 primary partition with default cluster size on your SD card. Please visit DataOnEXT thread for more info. For high speed read/write SD Card only (Class 6 or 10). Otherwise you may get poor performance. Please visit NativeSD thread for more info. If you do a Full Install, you need 285 MB system partition instead of 200 MB below. Flash Softkeys_Switcher_v2_for_NAND_and_NativeSD.zip to enable/disable the virtual softkeys after installation. After enabling Softkeys, you could flash the following mods. Flash framework-res.apk_JB-v1.4-softkeys_in_landscape.zip to show/hide softkeys in landscape mode.